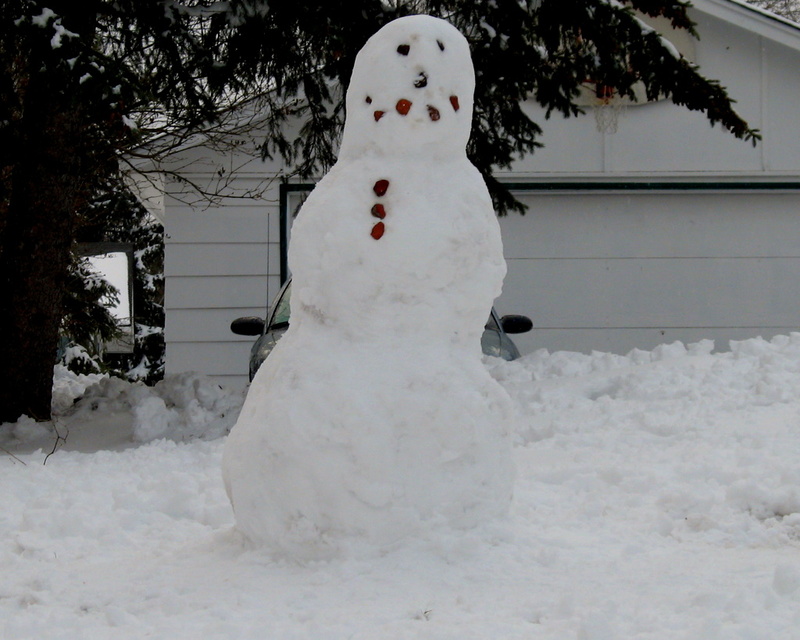 This freshly made snowman was created in the Twin Cities area of Cottage Grove on a snowy weekend in March. Wet, very heavy snowfall covered a good portion of the state of Minnesota on Friday and Saturday. We were left with snow that was a perfect blend to make snowmen. This one was made by my two kids, with a little help from dad. I post this photo to make you warm weather climate areas jealous. We can do something that you cannot do. A very nice photograph with your post today. Easter greetings from Abraham Lincoln in Brookville, Ohio.